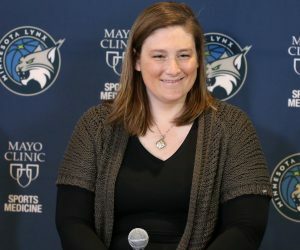 Coming off of a road loss to the New York Liberty on Sunday, the Minnesota Lynx bounced back in a big way Tuesday in St. Paul. 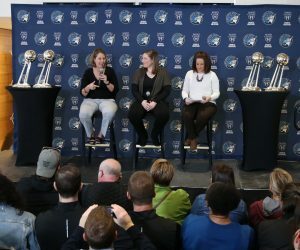 The Lynx topped the Phoenix Mercury 105-69 in front of an announced crowd of 10,723 at Xcel Energy Center. With the win, Minnesota completed the 4-0 season series sweep of Phoenix this season. Maya Moore led the way for the Lynx, finishing with 21 points and three assists. Sylvia Fowles tallied her 16th double-double of the season with 14 points and 10 rebounds, Plenette Pierson had nine points and two rebound, Seimone Augustus had eight points and three assists and Renee Montgomery had eight points and seven assists. The bench had a nice game for Minnesota, combining for 45 points. Jia Perkins had 18 points and three rebounds, Natasha Howard had 12 points and eight rebounds, Alexis Jones had a career-high 11 points and Temi Fagbenle added four points and three rebounds. The Lynx finished the game with a total of 12 threes, which is a season-high. Eight of those threes came from the bench. The Mercury were led by Monique Currie with 14 points and three assists. Brittney Griner had nine points and two rebounds, Leilani Mitchell and Cayla George each added nine points off the bench, Camille Little had eight points and five rebounds and Diana Taurasi finished with five points in the game. With the win, Minnesota improves to 23-6 on the season with five regular season games remaining. Phoenix drops to 15-15 overall with the loss. As time expired in the second quarter, Moore hit a jumper at the buzzer to send Minnesota into halftime with some momentum. That basket gave the Lynx a 49-34 lead at the break and put Moore up to 15 points in the first half. The Lynx finished shooting 54.2 percent from the field, while the Mercury shot 47.4 percent. Minnesota led for the entire game and outscored Phoenix in every quarter. 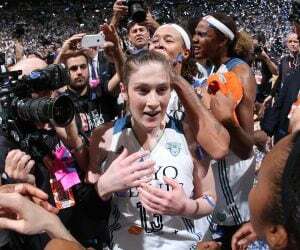 The Lynx out-rebounded the Mercury 32-19 and held a 36-28 advantage in points in the paint. 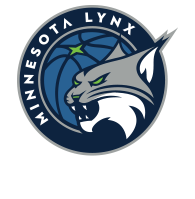 Tuesday’s Lynx Player of the Game goes to Maya Moore. Moore finished with a game-best 21 points and shot 7-of-15 from the field, 2-of-4 from three and shot a perfect 5-for-5 from the free throw line. 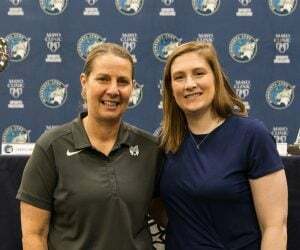 The Lynx will begin a three-game road trip beginning with a matchup against the San Antonio Stars at 7 p.m. Friday in San Antonio. The game will be streamed on Twitter and aired on 106.1 BOB FM and TuneIn Radio.